$3,000 added cash to pros, 3000 added cash to ams. Plus $1000 added as directed by TD. Must have minimum of 4 per division in order to establish division. 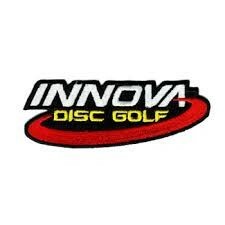 Players pack sponsored by Innova Disc Golf which includes your pick of 4 discs (1 DX,1 Pro, 1 Star, and 1 Champion). Also includes dryfit shirt and cotton T (Monogram plus), mini, Milleneum disc and a free hat from Innova. Lunch provided on Saturday at church for all players. 2 Rounds on Saturday, 1 Round on Sunday. It will be blue course at Redeemer, and Pro course at Wine Cellar. Coonskin is on Golf Course with red tees being used. Any player that registers after June 10th will be charged an extra $10. TIMELINE IS JUNE 11TH AT NOON). Online registration will close on 14 June (6 PM) from here on out all walk ins will be charged an additional $25.00.